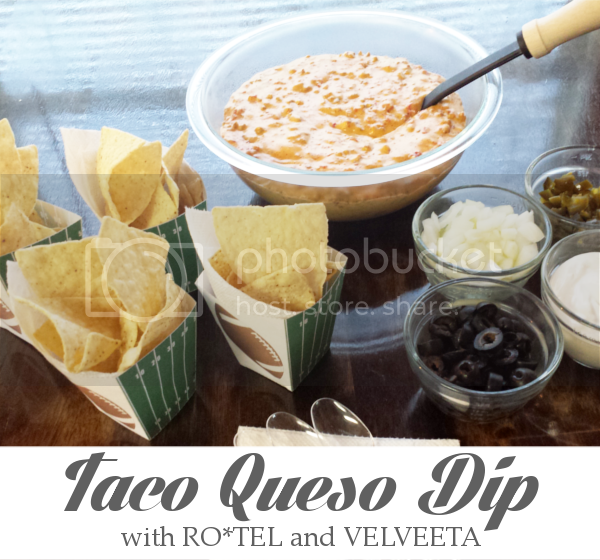 This is a sponsored post written by me on behalf of RO*TEL & VELVEETA for IZEA. All opinions are 100% mine. 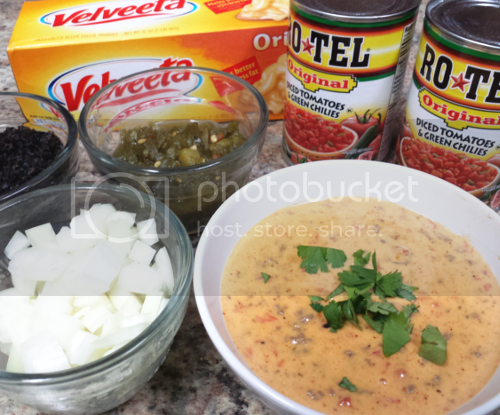 Add RO*TEL and VELVEETA to the crock-pot and set on low. Brown the beef and drain any excess liquid. Add the beef and any remaining ingredients to the crock-pot. Heat until all cheese is melted (about 2-3 hours), mix well and serve. 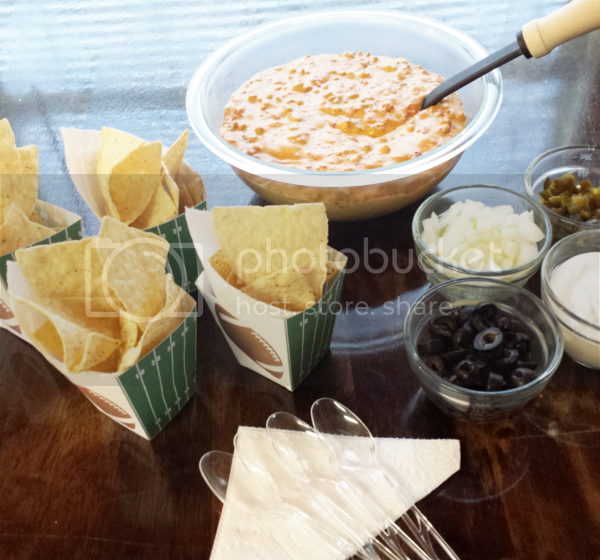 I prefer to add the onions, olives, and jalapenos to the dip. However, we had a couple guest who do not care for onions and olives and since there were little ones there as well, I chose not to add the jalapenos either. This worked out perfect as each guest was able to add their preferred ingredients to their liking. 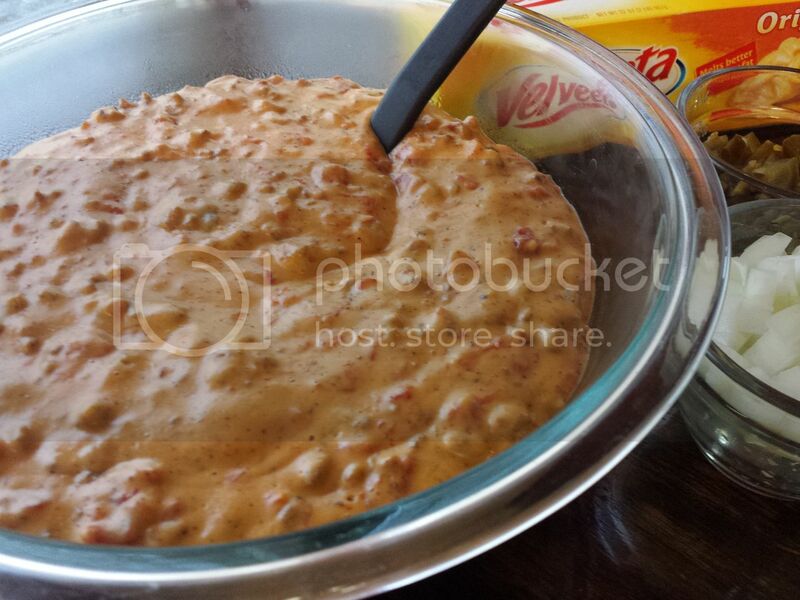 Click here to make your own football snack cup. Beef isn't listed in ingredients list, but is in the directions. Did you use hamburger? Oops. Thank you for letting me know. It's fixed now. I used 1 lb of ground beef.